Elder law attorneys focus on legal needs of the elderly such as legal, medical, financial, social, family issues. Call 559-435-0455 or 1-888-435-0455 today. Rather than being defined by technical legal distinctions, elder law is defined by the client to be served. In other words, the lawyer who practices elder law may handle a range of issues but has a specific type of clients–seniors. 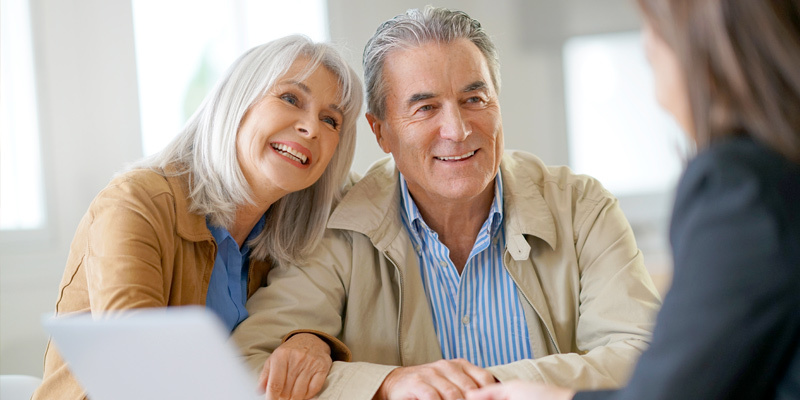 Under this holistic approach, the elder law practitioner handles general estate planning issues and counsels clients about planning for incapacity with alternative decision making documents. The attorney would also assist the client in planning for possible long-term care needs, including nursing home care. Locating the appropriate type of care, coordinating private and public resources to finance the cost of care, and working to ensure the client’s right to quality care are all part of the elder law practice. Elder Law is an area of law that concentrates in representing, counseling and assisting seniors, people with disabilities and their families in connection with a variety of legal issues, from estate planning to long term care issues, with a primary emphasis on promoting the highest quality of life for the individuals. Typically, Elder Law attorneys address the client’s perspective from a holistic viewpoint by considering legal, medical, financial, social and family issues. What Differentiates Elder Law Attorneys From Others In The Legal Profession? Qualified Elder Law attorneys bring a different perspective to the delivery of services to their clients. Elder Law attorneys use a holistic, multi-disciplinary approach to help seniors, people with disabilities and their families in a caring, compassionate way that seeks to preserve dignity for such individuals. 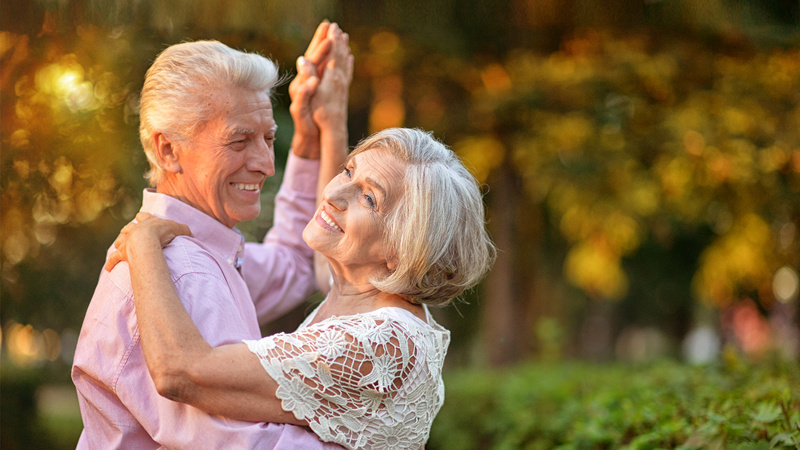 Elder Law attorneys look at what is best for the aging client from all points of view, and are able to address these issues in an objective way. Medicare is a federal insurance program paid out of Social Security deductions. All persons over 65 who have made Social Security contributions are entitled to the benefits, as well as disabled workers who have been eligible for Social Security disability benefits for at least two years. Medicare has several parts including Hospital Insurance (Part A) and Medical Insurance (Part B). Those persons eligible for Social Security or Railroad Retirement benefits as workers, dependents or survivors, are eligible for Part A, Hospital Insurance, when they turn 65. If a person has not worked long enough to be covered for benefits, s/he may enroll in Part A and pay a monthly premium. If Medicare Hospital Insurance is purchased, that person must also enroll in Part B, Medical Insurance. Participants in the Medicare program are liable for co-payments and deductibles as well as for monthly payments for Part B coverage. Medicare is not based on financial need. Anyone who meets the age, disability and/or coverage requirements is eligible. Medicare does not pay for all medical expenses, and usually must be supplemented with private insurance (“medigap”) or consumers can enroll in an HMO plan that contracts with Medicare. After 3 days of prior hospitalization, Medicare will pay up to 100% for the first 20 days of skilled nursing care. For the 21- 100 days, the patient will pay a co-payment. The premiums and copayments are increased every year. There will be no Medicare coverage for nursing home care beyond 100 days in any single benefit period. It should be noted that Medicare only pays for “skilled nursing care,” does not pay for “custodial care” and the average stay under Medicare is usually less than 24 days. Thus, few can look to Medicare to pay for any substantial nursing home costs. Medi-Cal is a combined federal and California State program designed to help pay for medical care for public assistance recipients and other low-income persons. Although Medi-Cal recipients may receive Medicare, the Medi-Cal program is not related to the Medicare program. Medi-Cal is a need-based program and is funded jointly with state and federal Medicaid funds. Medi-Cal funded home and community based option programs. The State sets a “maintenance need standard”. Since January 1, 1990 the maintenance need standard for a single elderly/disabled person in the community has been $600 monthly; the Long Term Care maintenance need level (i.e., personal needs allowance when someone is in a nursing home) remains at $35 monthly for each person. Individuals whose net monthly income is higher than the state payment rate may qualify for the program if they pay or agree to pay a portion of their income on monthly medical costs. This is called the share of cost. Individuals eligible with a share of cost must pay or take responsibility for a portion of their medical bills each month before they receive coverage. Medi-Cal then pays the remainder, provided the services are covered by the program. This works much like an insurance deductible. The amount of the share of cost is equal to the difference between the “maintenance need standard” and the individual’s net non-exempt monthly income. In addition to the “any income deduction” and the monthly maintenance needs allowance, any monthly medical premiums can also be deducted before the share of cost is determined. Other deductions can also be made, depending on the circumstances. For example, under a legal settlement, Hunt v. Kizer, recipients may use old, unpaid medical bills for which the beneficiary is still legally responsible to reduce the monthly Medi-Cal share of cost. Some original documentation showing the billing statement is an outstanding balance should be provided to the County eligibility worker. The Share of Cost will be adjusted to reflect the cost of the outstanding balance, which could, for example, mean no share of cost until the old, unpaid bills are paid off. This is not automatic and should be discussed with the eligibility worker upon application for Medi-Cal. Under the Johnson v. Rank settlement, recipients may use their share of cost to pay for medically necessary supplies, equipment or services not covered under the Medi-Cal program. A current physician’s prescription is necessary and must be put in the recipient’s record at the facility. This prescription must be a part of the physician’s plan of care. After a copy of the prescription and the bill is presented to the facility, the facility will deduct the cost from that month’s share of cost and bill the resident for the remaining share of cost. To qualify for Medi-Cal the recipient must demonstrate that s/he has limited resources available. Since January 1, 1989, the property limit for one person has been set at $2,000. Medi-Cal classifies property as “exempt” and “non-exempt”. Exempt property is not counted in determining eligibility; non-exempt property is counted. If the applicant has more than $2,000 in non-exempt property, he/she will not be eligible, unless the property is spent down for adequate consideration before the end of the application month. The Home: totally excluded, if it is the principal residence. Includes mobile home, houseboat, or an entire multi-unit dwelling as long as any portion serves as the principal residence of the applicant. The property remains exempt if a person in a nursing home or the person’s representative expresses an intent to return home on the current Medi-Cal Application and Statement of Facts, or if an “exempt” individual resides in the home, such as a spouse, a minor, blind or disabled child (of any age) or a sibling or son or daughter who has lived in the home continuously for at least one year before the applicant entered a nursing home. Note that when the home is exempt, it can be transferred without penalty and without affecting the Medi-Cal eligibility. Other Real Property: can be exempt if the net market value of the property (minus any encumbrances such as mortgages, loans, etc.) is $6,000 or less and the beneficiary is “utilizing” the property, i.e., receiving yearly income of at least 6% of the net market value. Property used as a business can also be exempt if it meets the standards under the program, i.e., it is actually used as a business, reported to the IRS as such, etc. Household Goods and Personal Effects: totally exempt. Jewelry: for a single person, wedding, engagement rings and heirlooms are totally exempt and other items of jewelry with a total net market value of $100 or less are exempt; for spouses, when one spouse is in a nursing home, there is no limit on exempt jewelry for determining institutionalized spouse’s eligibility. Cars/motor Vehicles: one car is generally exempt if used for the benefit of the applicant/beneficiary or if needed for medical reasons. Whole Life Insurance: policies with a total face value of $1,500 or less. If the total face value of the policy or policies exceeds $1,500, then the cash surrender value of the policies is counted toward the $2,000 cash reserve. If the cash surrender value exceeds the $2,000 cash reserve, the applicant will not be eligible unless, he/she reduces the value of the policy. Term Life Insurance: totally excluded. Prepaid irrevocable burial plan of any amount and $1,500 in designated burial funds: There is no limit on the amount of the irrevocable burial fund, but the $1,500 in designated funds must be kept separate from all other accounts. Accumulated interest on burial funds is also exempt. In applicant’s/beneficiary’s name: The balance of the IRA or the pension is considered unavailable if applicant/beneficiary is receiving periodic payments of interest and principal. In spouse’s name: The balance of the IRA or Pension fund is totally exempt from consideration and is not included in the community spouse resource allowance (CSRA). Annuities purchased prior to 8/11/93: Balance is considered unavailable if applicant/beneficiary is receiving periodic payments (of any amount) of interest and principal. Annuities purchased between 8/11/93 and 3/1/96: Annuities purchased between 8/11/93 (the date the federal law changed) and 3/1/96 (the date California law changed) that cannot be restructured to meet the new requirements will continue to be treated under the old rules (see above). Written verification from the company or agent who issued or sold the annuity must be obtained stating that the annuity cannot be restructured. Annuities purchased on or after 3/1/96 by the applicant or the applicant’s spouse: the individual and/or spouse must take steps to receive periodic payments of interest and principal; payments must be scheduled to exhaust the balance of the annuity at or before the end of the annuitant’s life expectancy. Annuities structured to exceed the life expectancy will result in denial or termination of benefits due to transfer of non-exempt assets. Note: Annuities purchased by the applicant/beneficiary on or after 9/1/04 will be subject to Medi-Cal recovery when the beneficiary dies. Cash reserve: Applicant/beneficiary may retain up to $2,000 in liquid assets, e.g., savings, checking, excess cash surrender value of life insurance. Community Spouse Resource Allowance (CSRA): Community (at home) spouse may retain up to $123,600 (as of 1/1/2018) in liquid assets, not including the home and other exempt assets, such as IRAs and retirement funds. Any assets above the property reserve limit of $2,000 or $109,560, in the case of a community spouse, or any asset that is not exempt will be counted by Medi-Cal in determining eligibility. An individual whose personal property is above the Medi-Cal resource limit may spend down to $2,000. Resources must be reduced to the property limit for at least one day during the month in which a person is establishing eligibility. Giving away resources may render a person ineligible for a period of time running from the date of the transfer. Penalties for transferring or gifting away assets only apply if a Medi-Cal beneficiary or applicant enters a nursing home. If an applicant lives at home and gifts away property, the penalty will not apply. A Medi-Cal applicant can give away assets and still be eligible for Medi-Cal depending on when the asset was transferred, the value of the transfer and whether he or she enters a nursing home. The transfer rules are triggered when a person enters a nursing home and applies for Medi-Cal. The Medi-Cal application will ask if the applicant transferred any assets within the 30 months prior to the date of the application. The transfer rules apply only to non-exempt (countable) assets. A transfer of non-exempt assets can result in a period of ineligibility. After the Medi-Cal beneficiary’s death, the state can make a claim against the estate of an individual who was 55 years of age or older at the time he or she received Medi-Cal benefits or who (at any age) received benefits in a nursing home, unless there is a surviving spouse or a minor, blind or disabled child. Thus, if there are any assets left in the estate of the deceased beneficiary, Medi-Cal will seek to be reimbursed for benefits paid. It is important to note that, even if you received Medi-Cal at home, any benefits paid while you were 55 years of age or older will be subject to Medi-Cal recovery. How Much Can The State Recover? However, the amount of recovery is limited to the amount of benefits paid or the value of the beneficiary’s estate, whichever is less. For example, if the appraised value of your home is $200,000 and you left it in joint tenancy with your three children, the state can only collect up to $50,000, which is your part of the estate – even if the Medi-Cal benefits paid to you is more than $50,000. The value of the estate is also reduced by any outstanding mortgages or debts on the home. For example, if the home had an outstanding mortgage of $100,000, this reduces the value of the estate to $100,000 (the appraised value of $200,000, minus the mortgage). This, in turn, reduces the amount of the estate claim to $25,000. (The value of the home ($100,000) divided by the four joint tenants.) Deducting the amount of burial costs or estate settlement costs can also reduce the claim. When the state files an estate claim, they are also required to send an itemized billing of benefits paid over your lifetime. It is important to review the billing to see if there are any errors. As of September 1, 2000, the state ceased collecting for the amount of In Home Supportive Services (IHSS) paid. Thus, if IHSS services are included in the itemized billing, the collection representative should delete this from the billing. Are There Any Exceptions To A Recovery Claim? Surviving Spouse: The state is prohibited from recovery if a surviving spouse of a deceased Medi-Cal beneficiary is alive. Minor, Blind or Disabled Child: If a minor child or a blind or disabled child of any age survives the beneficiary, a claim is prohibited by federal law. The surviving child or his/her representative only needs to send proof, such as a birth certificate, that they are the child of the decedent and, in the case of disability, documentation of disability or blindness, such as a Social Security or SSI award letter. If the surviving child does not have documentation of disability from the Social Security Administration, he/she can still file for a disability determination with the Department of Health Services. It is important to note that the surviving child does not have to live in the home (or even in the state, for that matter) in order for recovery to be barred. When There is Nothing Left in the Estate: Since most deceased Medi-Cal beneficiaries leave nothing but their homes, it is most important to look at the deed to the property. Whose name was on the property at the date of death? If the beneficiary transferred the property outright prior to death, then send a copy of the deed, along with a letter explaining that the beneficiary left nothing in his/her estate and ask that the case be closed. If the beneficiary left any funds in an account, these funds must be paid to the state, after documented expenses are deducted, unless there is an exempt survivor or unless you file for a hardship waiver. There Are Ways To Use Estate Planning To Prevent Spending Down Your Life Savings Due To The Tremendous Cost Of Long Term Nursing Care. You may have heard this described as “Medicaid” or “Medi-Cal” planning. Medicaid and Medi-Cal are the federal and state government agencies that pay for long term nursing home care for those who qualify. Qualifying for Medicaid or Medi-Cal is based on certain financial criteria, including your income and assets. Some people think that only poor people can qualify – in reality, many people can qualify if they plan ahead. We Are Experts In This Type Of Planning, And We Can Develop A Plan For You To Be Able To Qualify For Medicaid/Medi-Cal When You Need It. These planning strategies are legal, legitimate and proven. You can leave your home and your assets to your family, instead of giving them to the government! If you or someone you love may need nursing home care soon, we can help. If someone you know is already in a nursing home, it is not too late to plan. If done correctly, assets can still be legally protected. 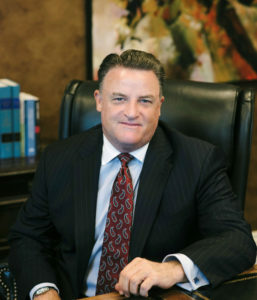 With over 30 years of experience, Attorney at Law Philip M. Flanigan serves Fresno, CA with probate, estate planning, living trusts, Medi-Cal planning, elder law, and more.